Virgo Marriage horoscope is going to be good & bad both for you. If you are looking for marriage the prediction is right here. 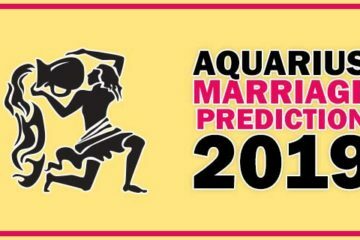 The prediction of marriage for the people of Virgo is bringing a lot of expectations in the year 2019. Jupiter is in the third house and will remain there for the whole year. Saturn’s position will remain in the fourth house. Rahu will remain in the tenth place in Gemini and Ketu in the fourth position in the Sagittarius. This planetary state is creating a favorable environment for marriage. Whether we talk about love marriage or arrange Marriage the year 2019 is bringing hope for everyone. So let’s know what is special in every month from January to December for the Virgo. In the month of January, Mars is seated in the seventh house. Therefore, the whole month of January is not suitable for marriage. Those people who are interested in marriage should refrain from accepting marriage relationships in January. In the month of March, the Mars will change the zodiac sign and Jupiter’s aspect will be on the Pisces zodiac sign. 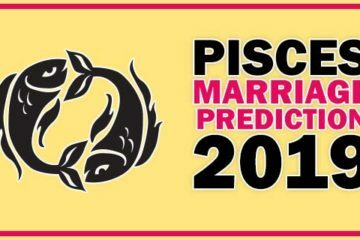 This Pisces sign is in the seventh house of your horoscope, which is known for marriage. There will be strong chances of marriage immediately after leaving the seventh house by Mars. You should try for a marriage after the 10th of February. Marriage prediction in the month of March is a little unfavorable for the people of Virgo because Mercury will come in the Pisces sign in the seventh house of your horoscope. Mercury remains debilitated in Pisces sign so take utmost care while treating the wedding proposal. The relationship may worsen in the month of March. But in the middle of this month, the seventh house of the horoscope will be free from the influence of Mercury and the marriage yoga will be available. In the month of April, the sun will be in the seventh house and in the middle of the month Mercury and Venus will remain in the Seventh place. The present time will be filled with a variety of ups and downs. In the month of April, you should not expect the marriage. Due to the exalted position of Venus, You will definitely have some good marriage proposal. If you are already in a relationship then there will be many ups and downs in it, you have to be careful. In the month of May, the marriage prediction is special for the people of Virgo. The planets are slightly unfavorable in the beginning of the month. But after the first week the situation will start in your favor and you will feel very lucky. In the matters of marriage and relationships, you should expect betterment. In the month of June, the seventh house of your horoscope will be free from all type of malicious effect, hence the relationship will remain good from the normal. You will be fortunate. The marriage prediction for the Virgo in July is that the time for their wedding has come closer. There are differences in the family; you should try to overcome them. The reason for this is Mars, which is debilitated and its aspect is on your family. Your marriage prediction in the month of August is similar to the last month. Most of the planets are indicating the auspicious signals. Mars being debilitated, there is a little dilemma in your mind that you want to share with your family, unfortunately, will not get the chance. In the middle of this month when Mars enters in the Leo zodiac sign, then the chances of your marriage will be reduced to some extent. So I would like to suggest you to do whatever you want to do till the middle of this month after this, marriage yoga will be reduced for a long time. Jupiter and the seventh house of your horoscope are suffering because of position of Mars in the Leo in the month of September, so there are no chances of marriage. At such times you should not take any decision on marriage. Apart from all this, it is a time full of extravagances. You may have to face many financial problems. The month of October for Virgo is not good as far as the prediction of marriage is concerned. Along with Mars, Venus and Sun are also not favorable. Venus will remain to combust in this month while Mars will remain in the seventh house, hence this is not a good time for marriage. In the month of November, the sun is debilitated in the second house of your horoscope. Saturn and Mars are hostile to each other, which will remain for the first few days of this month. Afterwards, Mars will enter in the second house of the horoscope and the second house is related to the family. The environment of your family is not suitable for marriage yet. It will take time. But in the middle of November, Jupiter will leave the third house and will enter into the fourth house but in this house, it will suffer from Saturn. Then the chances of your marriage will become even more vulnerable. As far as love marriage is concerned, the people of Virgo those are waiting for the marriage and are especially looking for Love Marriage. 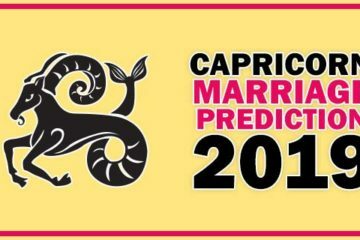 The chance of love marriage in their horoscope is not in this year. There are many obstacles in love marriage. You may have a bad impact on your relationships if you try more. Therefore be careful.